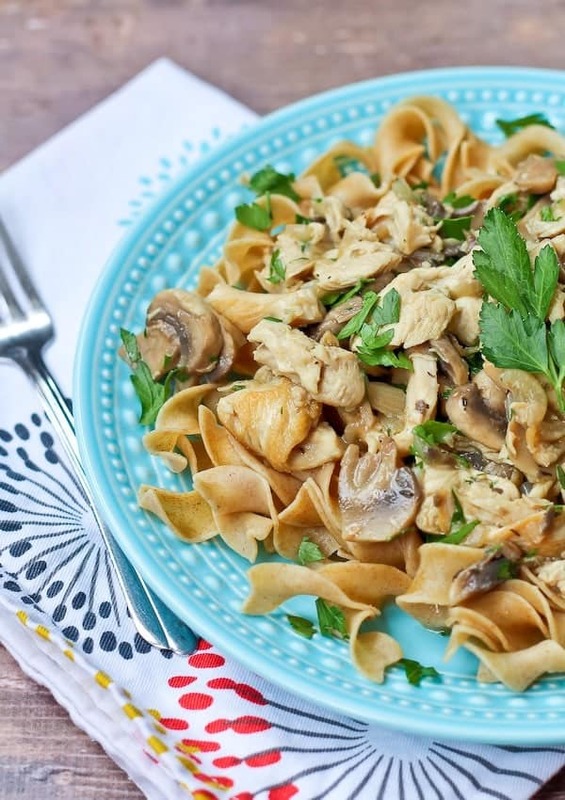 This healthy chicken stroganoff comes together in 30 minutes making it a perfect weeknight meal. Does it really get any better than this? To me, there isn’t too much better than creamy chicken and mushrooms over pasta. I mean, really. The only thing better might be creamy chicken and mushrooms over pasta that won’t make me gain ridiculous amounts of weight. Livin’ in a dream world, right? Maybe not! Add in “done in 30 minutes?” SURE! Why not?! The impossible is possible. Now that we’ve established that I’m a super hero (ha), let’s talk about this dinner. It really does come together in 30 minutes. Maybe 45 if your husband isn’t home to keep the kids occupied. Maybe an hour if you have four kids instead of two, but I don’t know anything about that so I’m just going on my imagination and what I’ve been told. 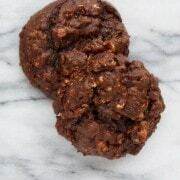 Healthy comfort food is always a good thing to accomplish whether you have four kids, two kids, or zero kids. I went heavy on the mushrooms in this chicken stroganoff because I adore mushrooms, but feel free to scale back. If you don’t have 16 ounces of mushrooms, try supplementing with some cut red bell peppers. The red color would not only add great flavor and nutrition to this healthy stroganoff but it would also look beautiful. Watch this short video to see step-by-step how to make this Healthy Chicken Stroganoff! Meanwhile, in a very large sauté pan, heat 1 tablespoon of olive oil over medium-high heat. Add sliced chicken and season with salt and pepper. Cook until browned and cooked through, about 4 minutes depending on thickness of chicken. Remove and set aside. Add 1 tablespoon of oil to pan and reduce heat to medium. Add onions and mushrooms (sprinkle with additional pepper if you like) and cook until onions are translucent and mushrooms are cooked. Sprinkle with thyme and add chicken back into pan. Pour in wine and increase heat to high. Scrape any brown bits off the bottom of the pan and continue to cook until wine is reduced by about half. Add chicken broth and continue to cook for 2-3 minutes or until slightly reduced. Remove from heat and stir in yogurt, dijon mustard, and parsley. Serve over pasta, sprinkled with more parsley if desired. Verdict: I’m adding this one to the regular rotations. We loved it! Husband’s take: Ben and my parents (who visited when I made this) all loved this stroganoff. No complaints from anyone! Well, my kids complained but they’re going through the complain-about-everything phase. Please tell me it’s a phase. Difficulty: Easy! As with any recipe, if you want to streamline things and keep the prep and cook time down, make sure you read through the whole recipe first and prep ahead as much as possible. 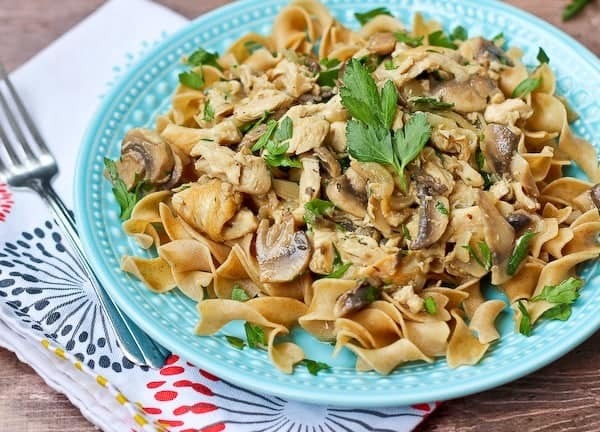 Loving the combination of pasta and mushrooms in this healthy chicken stroganoff? Try these recipes too: Vegetable Packed Stuffed Shells, Orecchiette with Chicken Sausage, Mushrooms and Leeks, Whole Wheat Pasta with Bacon, Mushrooms and Onions, Pasta with Mushrooms, Herbs and Cheese from What’s Gaby Cooking, or Lemon Butter Pasta with Mushrooms from Barefeet in the Kitchen. 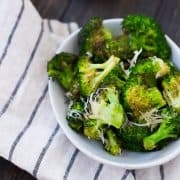 One of my favorite meals, can’t wait to try your recipe! This chicken stroganoff looks so good!! This is definitely my kind of recipe, Rachel! I love chicken, mushroom, and pasta. I’ll have to try your guilt-free version! 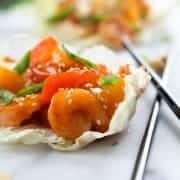 This is a perfect quick and easy weeknight meal! Isn’t it funny/scary/horrifying how the number of children around directly effects the time it takes to get dinner done?? haha. This looks soooo good! 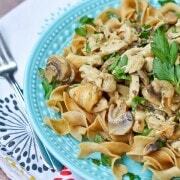 I love chicken stroganoff and I love how you made this healthier!! My kids go through complaining phases too and it drives me nuts! Love quick and yummy meals like this! What an awesome satisfying meal! This would be perfect for dinner and lunch leftovers the next day! You are working miracles over here! This sounds so good! I love how quickly it comes together and it looks really tasty. Definitely a keeper!